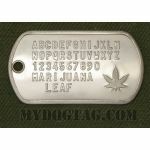 Add $8.50 to Customize your complete set with personalized text, chains & silencers. Cannabis sativa leaf leaf embossed in corner, ideal for medical marijuana users. 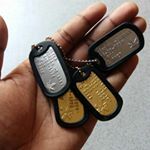 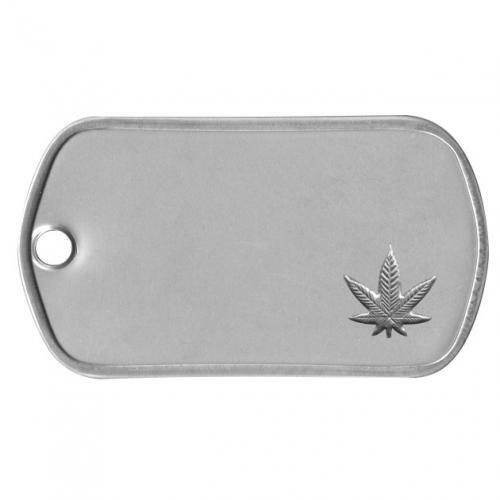 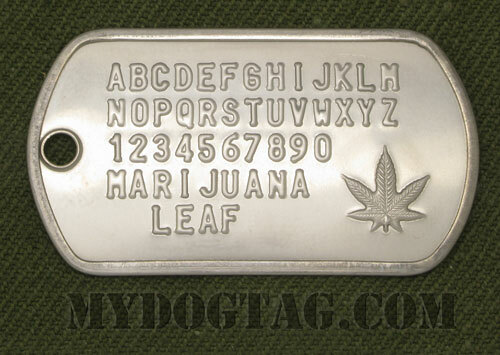 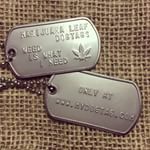 See an example of a fully customized Weed Dog Tag as a Medical Condition tag.